This teaching resource blog was created to help educators and students teach and learn with primary sources from the Library of Congress. There is a lot of material to browse and search on the Primary Source Nexus, but sometimes you just need to go directly to a particular section of the Library website. But how do you quickly locate and access that section? 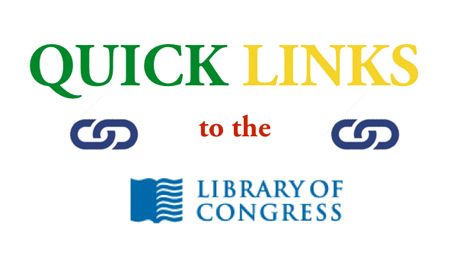 We’ve compiled a list of 30 links to get you to the resources you’re looking for lightning quick: LOC.gov Quick Links page.